The sun was shining through the trees, the leaves were every shade of fall, and I got to share it with my best pal. Our first visit to Frog Pond Trail was a magical one. Frog Pond Trail is yet another stunning example of the many beautiful, sprawling trail systems that permeate Halifax. The fact that I’m on post number 50 (yup, this is my 50th blog post – can you believe it?!) and I’m still discovering gems like this one is a testament to the sheer number of wonderful dog-friendly places in Halifax. Which is a big reason why I started this blog… but more on that later. Today I want to focus on two things. 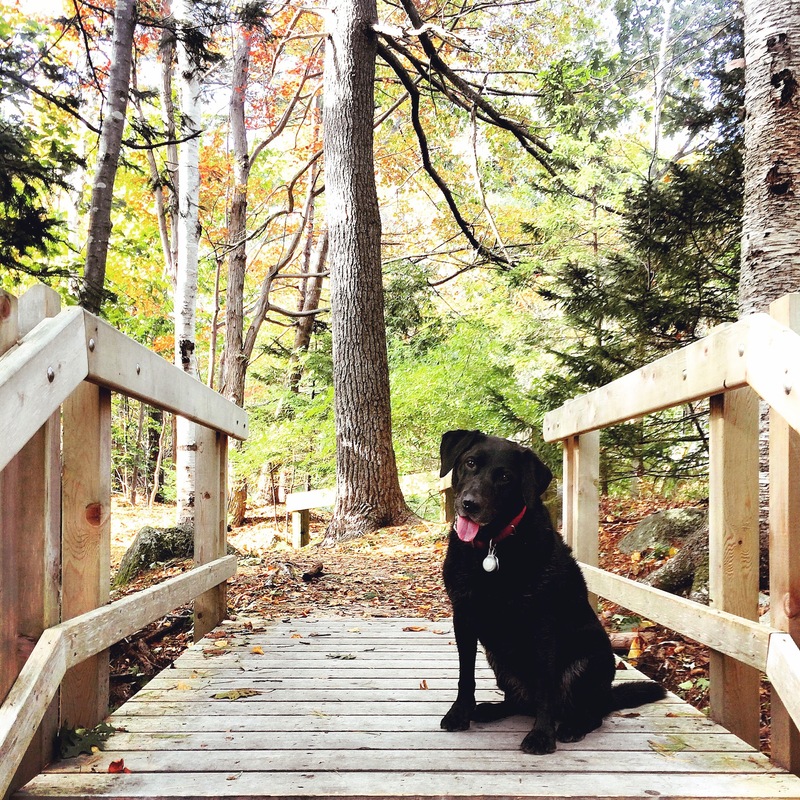 First, I want to encourage you to check out Frog Pond Trail ASAP. I am telling you, you will come out of this walk with a clear mind and a cleansed soul. There is truly some magic in the air here. Our favourite part of our walk was actually when we wandered off of the Frog Pond Trail, and made our way along a few of the many paths that connect this loop trail to the rest of the trails at Sir Sandford Fleming Park, towards Dingle Tower. The second thing I want to do today is say thank-you to TheGreatTrail.ca for asking me, Dallas and Halifax Dogventures to be a part of their story on Dogs of the Great Trail. I’ve mentioned my love for the Trans Canada Trail a few times on this blog (here, here and here). So when they asked me to help them out with this story, on a topic that combines two of my greatest loves (the Trail and dogs, of course), how could I say no? … [D]ogs appreciate a nice, comfortable silence. They motivate you to be present, without thinking too far ahead or behind… And they remind you that a hike in the great outdoors is pretty darn exciting. Because we’re playing catch up this week, I won’t wish you Happy Fetch Friday just yet… this week is just getting started, after all! I hope it’s a great one.